Your Most Frequently Asked Questions Aikido, Answered! Martial arts are an incredibly popular option for children and adults alike to exercise and learn self-defense. Although karate and taekwondo may be the most popular martial arts, there are other types that may better suit your needs. Aikido of El Paso is proud to provide aikido lessons to students, young and old alike. Below, we’ve outlined a handful of our most asked questions. If you don’t see the answers you’re looking for here, don’t worry! Simply give us a call and we’ll gladly answer any questions you may have. 1) How Much are the Lessons? Adults monthly $108, kids 7 to 16 $75. There are family or sibling discounts available and other discounts may be applied, as well. Contact us to learn more about our current promotions. 2) Are There Free Tryout Lessons? Yes. Everyone is invited to observe and, if they wish, they may also participate in a class. We offer this option for individuals to be able to see the fluidity of aikido in action. 3) How Old Do You Have to Be to Practice Aikido? We begin teaching at age 7. Exceptions are on a case by case basis. People can partake in aikido from the ages of 7 to 70 and older. Everyone in the family can participate in aikido! 4) Will I Have to Buy My Own Uniform? What’s the Meaning of the Uniform? Yes, unless enrolled under one of the discount promotions. Students may start by wearing comfortable exercise clothes. There is no intrinsic meaning the uniform is a traditional martial art attire. The hakama or blue covering is reserved for dan/instructor ranks at Aikido of El Paso. Choose Aikido of El Paso, Today! Aikido is an excellent martial art choice for children and adults alike. If you’re looking for something for your child to do, why not visit our academy to see a class? Who knows, maybe it’ll become your family’s new past time! If you’re interested in our aikido lessons, give us a call or simply visit our academy. 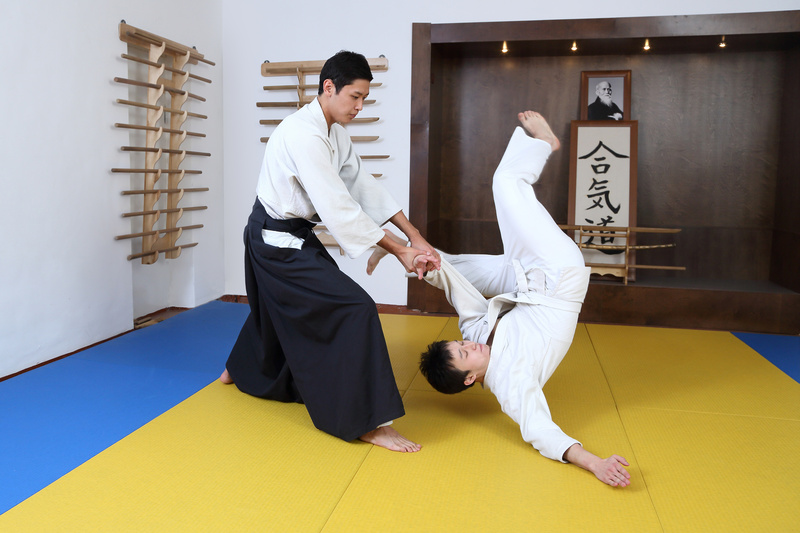 This way, you’ll be able to see how a normal day at Aikido of El Paso looks. We’re proud to provide the El Paso area with great aikido lessons. 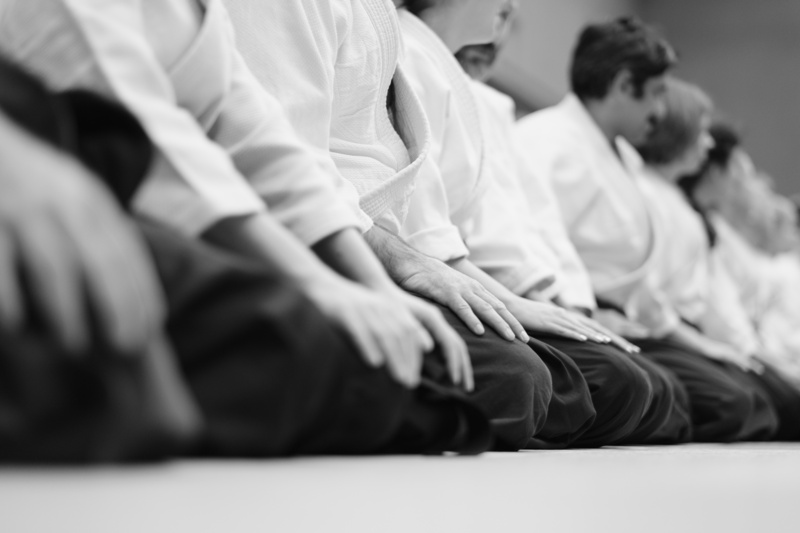 If you’re ready to become a part of the Aikido of El Paso team, then give us a call or click through our website to take a look at our programs. Aikido is a popular martial art among adults and children alike due to its real-world applications. In addition to being a great form of self-defense, aikido offers mental and emotional balance and fortitude to those who devote their bodies and minds to the art. Unlike other forms of exercise, which may simply exercise the body, aikido provides all-encompassing training that helps practitioners focus their mind and body into becoming the best version of themselves. Sounds pretty good, doesn’t it? If you’re in the El Paso area and you’re looking for a way to enrich your life, visit Aikido of El Paso! Fundamentally, aikido is defined as a martial art that uses the momentum of an assailant to the practitioner’s advantage. As such, it’s much more “peaceful” than other martial arts. As with most martial arts, aikido also focuses on the philosophical and spiritual aspects of training. In fact, these aspects can be seen as more important than the actual, physical manifestations of force and defense. Aikido was established as a form of harmony with nature. Practitioners learn how to focus themselves and the world that surrounds them so, in the instance of an attack, the aikidoka (aikido practitioner) will be able to calmly and safely subdue their enemy or assailant by using the assailant’s own momentum. This can be achieved once the practitioners have reached peace within themselves and with nature. As formidable as this may seem, it’s possible for beginners to reach this degree of peace. Perhaps all this talk of “inner peace” may detract from the fact that aikido still serves as a great way to improve flexibility and physical fitness. As with most forms of martial arts or physical training, it’s necessary to devote one’s time and effort in order to grow in their knowledge of aikido. This is why aikido is a perfect option for adults and children. With the help of the instructor, practitioners will be able to work and excel at their own pace. Before long, you’ll notice the health benefits that come about from aikido. That, along with a newfound knowledge of self-defense, will give aikido practitioners a new lease on life. If you’re interested in signing up or simply curious as to what exactly aikido has to offer, give us a call or visit our academy, today! Although summer is winding down, there’s still time to partake in aikido lessons at Aikido of El Paso. Aikido is known as the “way of harmony with the force of nature,” separating it from other martial arts. It is fully defensive, making it the perfect way to practice self-defense. If you have a child who’s been driving you crazy during this summer vacation, consider setting her up with our youth aikido lessons! What Happens Once Summer is Over? 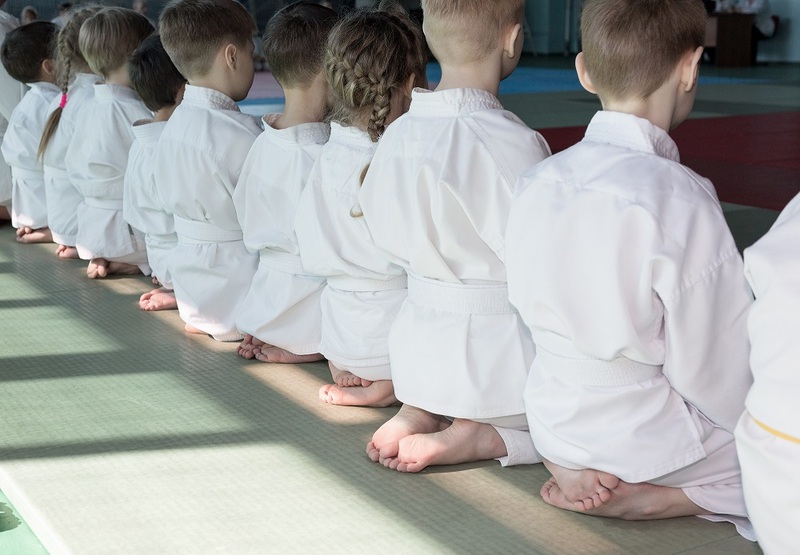 Once summer draws to a close, your child can continue partaking in aikido lessons throughout the year. As your child ages and gains more insight into the art of aikido, she can partake in more advanced classes. In fact, due to aikido’s defensive nature, individuals of all ages can partake in the martial art. This means your child can be a student of aikido as a teenager, young adult, and even as an elderly person! Aikido of El Paso offers plenty of aikido classes all throughout the week. This way, your child can have the perfect way to release all that pent up summer energy. All while gaining valuable insight and knowledge on how to defend oneself, both physically and mentally. Aikido of El Paso has provided high-quality training to students in the Southwest area. If your child needs something to do, consider aikido lessons from the masters! Contact us today to learn more about the benefits of aikido.